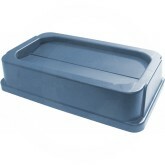 Built of durable engineered plastic. 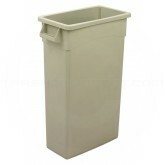 These receptacles are efficient in tight spaces. 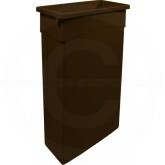 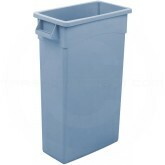 Their sleek, attractive design holds 23 gallons of trash, but protrudes less than one foot from the wall. 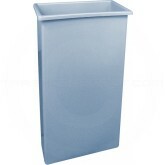 Designed with smooth, seamless construction for easy cleaning and prolonged life. 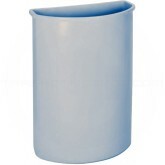 Standing at 30" tall, these receptacles make for great placement under standard work tables. 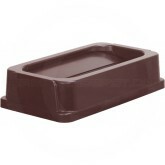 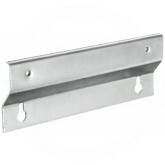 Compatible with the (7318) Push Door Lid or the (7325) Tip-Top Lid and the (8319) Mounting Bracket. 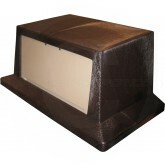 Colors: Beige, Brown or Gray.